Murder in Madden Wins Award! I always seem to be apologizing for not posting more frequently. So, here I am again, apologizing. Let me bring you up to date on a couple of things. I finished the manuscript for the second book in the Enid Blackwell series, The Last Sale, in September. Like Murder in Madden, this book was inspired by a real-life event—the disappearance of a young woman in Columbia, South Carolina. Ironically, the week that I finished the manuscript was the 25th anniversary of her disappearance. However, out of respect and privacy for the real family, I won’t mention her name specifically here or in the author’s notes in the book. People familiar with the real-life cold case will recognize it immediately. Let me be clear, however, that The Last Sale is purely fiction and only “inspired” by the actual case. 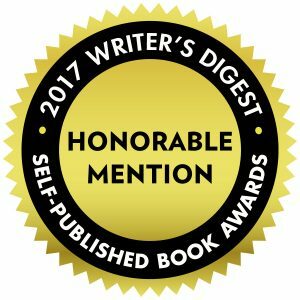 Excited as I was to finish the second book’s manuscript, a few weeks later I learned that Murder in Madden was awarded an Honorable Mention in the Writer’s Digest Self-Published Book Awards contest. There were approximately 2400 entries, so I was very excited and honored to have placed. Bolstered by my award, I then entered Murder in Madden in the Book Pipeline contest. Winners will be announced early 2018. Who knows, maybe my first book will be made into a movie. Stay tuned! Good read. Bought the book Tuesday, finished on Sunday. Enjoyed the characters, the flow, and the intregue. Thanks, Nancy! I’m glad you enjoyed it. I’ll soon be finished with the third book in the series.